This is the ideal gift for any special occasion, or no occasion at all. 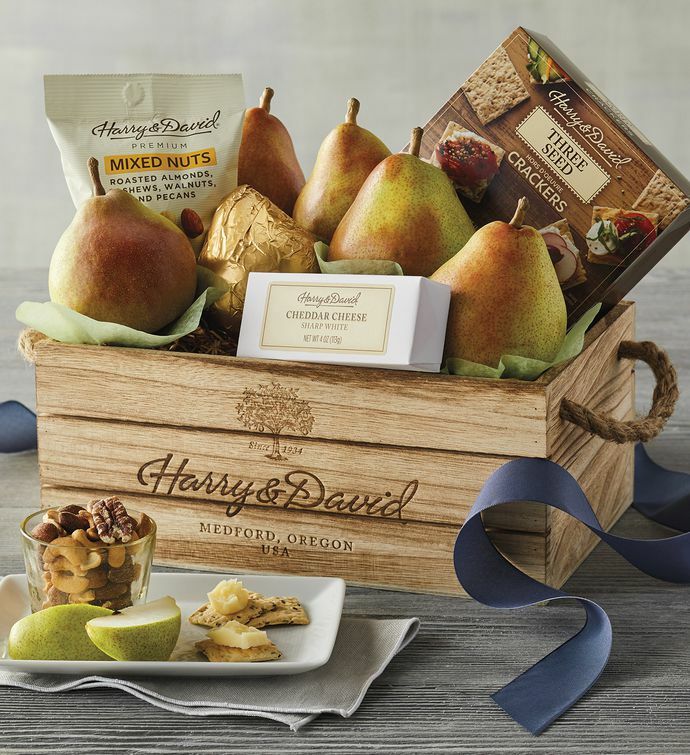 We hand-pack a reusable wooden crate featuring rope handles with delightful snacks, including ripe Royal Verano® Pears from our orchards, sharp white cheddar cheese, and mixed nuts. This gift, topped off with a hand-tied bow, is a great way to show someone you are thinking of them.